The facts still remain. 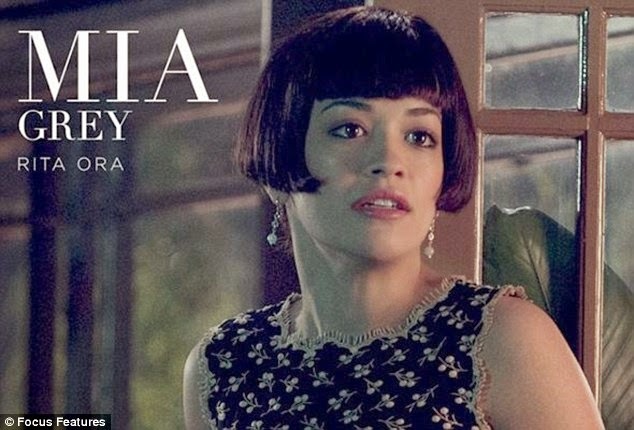 Rita Ora has never had an acting gig in her life. Her songs are not successful in the States, and she's more known for prearranged candid shots of her wacky wardrobe choices. This is why many of us were left scratching our heads when she landed a major role as Mia Grey in the highly anticipated film 'Fifty Shades Of Grey.' Who did she sleep with? Is her agent really that much of a miracle worker? Some of these are questions asked, but ones we will never get answers to. 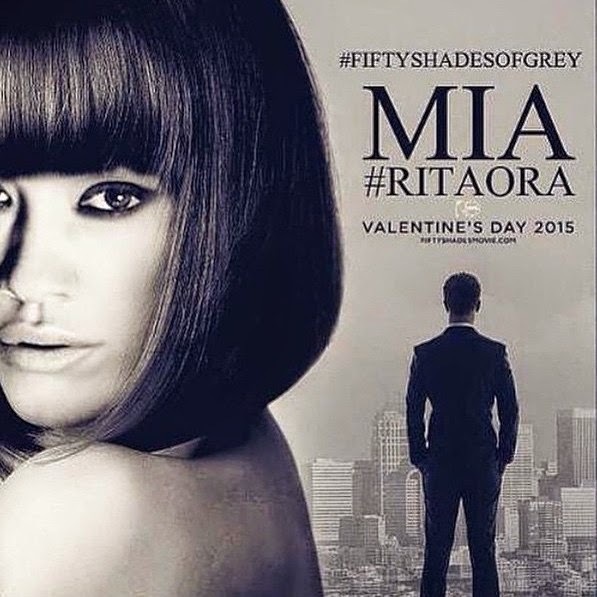 She has just shared this new snap of a new Mia Grey poster following criticism that she looked like a **man in drag after her initial makeover as Christian Grey's sister. The last thing she needs to be worrying about is a poster but ensuring her next album doesn't get shelved in the States this time.